Brooklyn-based psychedelic rock band Blackbells have quickly become known for their wall of sound approach, with soaring guitars, sneering vocals and a massive rhythm section. 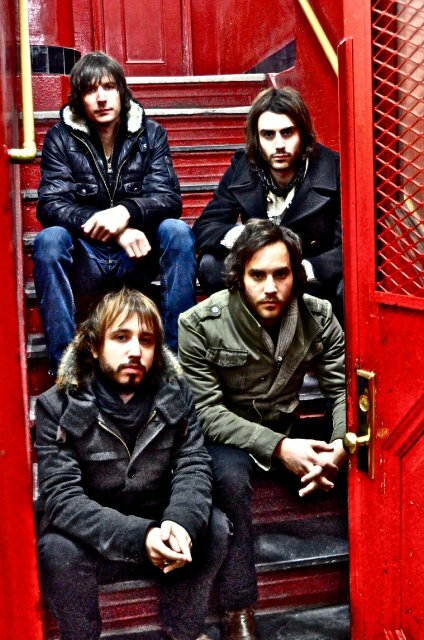 The New Yorker dubbed the band’s debut self-titled EP “radio friendly indie-rock”. That EP hit the #18 spot in CMJ’s Top 200, and ever since the band has found themselves playing to sold-out crowds across the US and Canada with the likes of Band of Skulls, Alberta Cross, Crash Kings, and The Greenhornes as well as appearances at both CMJ and SXSW in 2010 and 2011.